The final game of the Ales Hrebsky tournament will take place this afternoon at 2pm as the Green Gaels face the Ladner Pioneers for the championship. The Pioneers defeated the Boston Megamen in the semi finals to advance. It could be considered an upset, for the Megamen were one of the favorites in the tournament. Their 5-1 win led them to the finals. The Green gaels defeated the Radotin Custodes to advance themselves. Nathan Klare has been the leader for the Canadian Pioneers with 16 points to lead the team. Meanwhile, it has been Dylan Goddard leading the Gaels with 14 of his own. 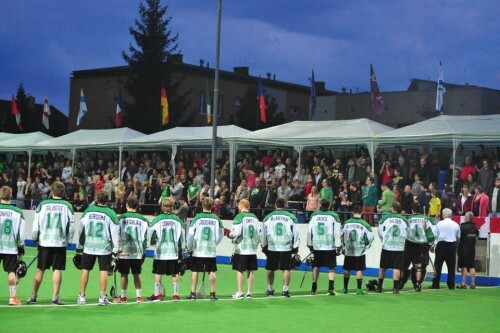 The former NLL draft pick has been their star on offense for the entire tournament. Goddard isn’t the only pro talent on the Gaels as Gavin Prout, a former NLL star with the Colorado Mammoth, has 11 points which is good for second on the team. Canadian Lacrosse League champion Mike Teeter who helped lead the Barrie Blizzard to a title is another offensive weapon on their roster. Nathan Wilson of the Pioneers has been the second best goaltender in the event with and 89% save percentage and has surrendered just 6 goals on 50 shots. Neil Roberts is fourth for the Gaels with an 81%. 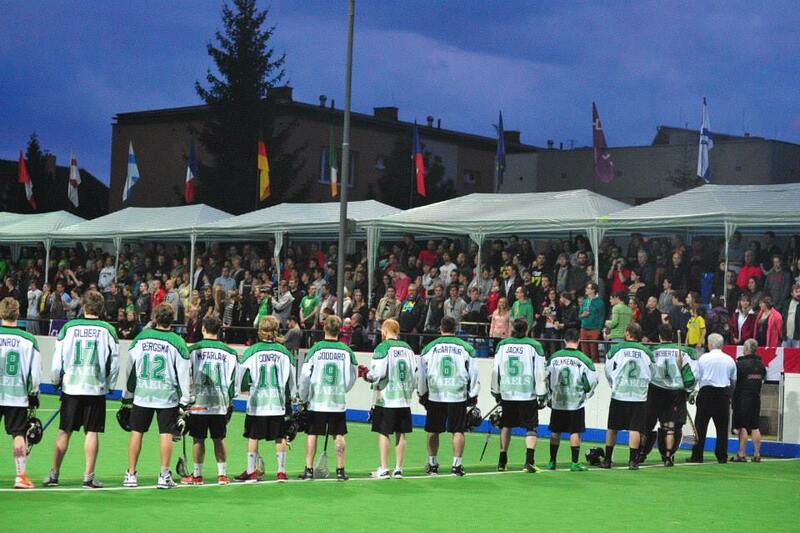 The Gaels have gone undefeated in their run, including a 12-1 bashing of the Polish Eagles to open the tournament. The Pioneers are also undefeated including holding the Clydsedales and the Irish Riggers to one goal each. Gametime is at 2pm for the final game.